Whether you're partial to a cat eye or colorful shadows, this season is all about the statement eye. Sharpen your pencils and dust off your brushes as we take a look at the best new looks from the fall 2012 runways. How To Wear It: Trace on liner using a fine-tipped makeup brush (the better for getting the perfect curve and flicked-up edge) and go for a gel formula with a high-gloss finish to catch the light. 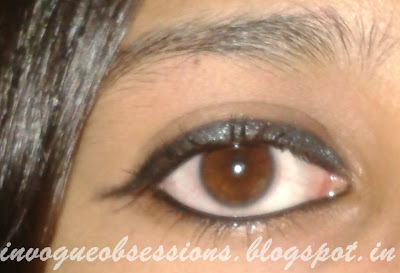 Here a simple trick to Cat eyeliner or substitute for gel eyeliner. You need: A Black eyeshadow and Eyeliner brush. Thats all. Damp the bristles of brush and smear in the eyeshadow pot, enough to let the powder the bristles. Line your eyes with the brush, and shape them according to your need. If you want slight gel eyeliner glossy look, aafter you damp your bristles smear light petroleum jelly on the brush. Eyeliner using Colorbar Black tie eyeshadow. 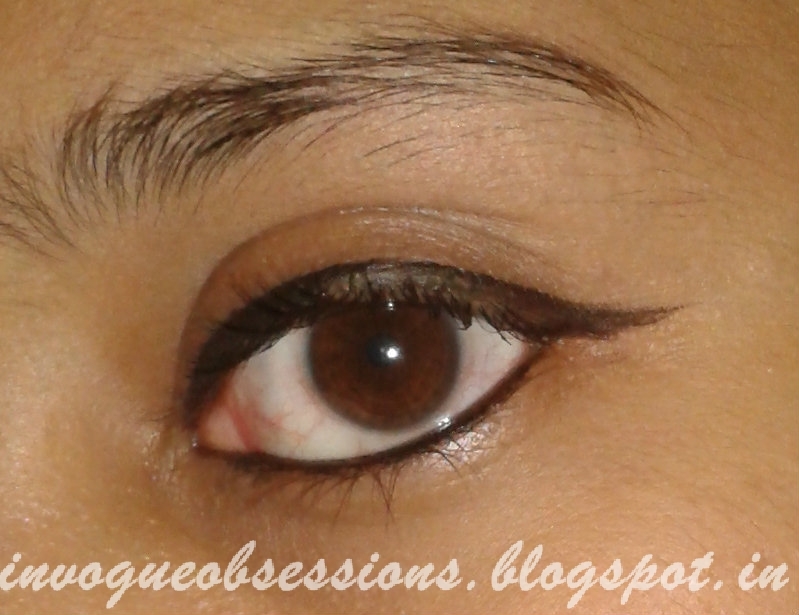 Gel Eyeliner, I've used Maybelline Dramatic Gel eyeliner. Hope you can notice the difference, It is a subtitute after all. 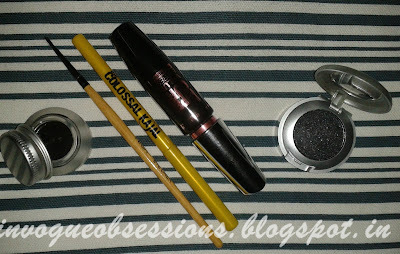 If you want soft defined eyes with less or not much drama, You can always play safe with Black Eyeshadow! I'd love to try it with Matte eyeshadow, you can try colored ones too. Incase, You're wondering about the products used. Personally I love using Eyeshadows as eyeliners. Hello, I have given you an award on my blog. Please accept. It's very fun and interesting! !